“Carlota Douro" is inspired in the traditional Rabelo boats, but presents itself with a more contemporary design, where the colors are part of it's charm. The seats are ergonomically designed and have access to audio-guides (in 16 languages) that describe the relevant aspects of the surrounding landscape and heritage. This vessel was built entirely in Portugal, more specifically in Viana do Castelo. . The “DOURO PRESTIGE” project involves a global investment of 37.325.000,00 euros, of which 36.980.000,00 euros are ellegible for a communitary comparticipation through the SI Inovação program of 16.641.000,00 euros.. Subscribe our newsletter and be the first to know about our news and special offers. Discover the Douro with all the comfort and luxury of a private yacht. 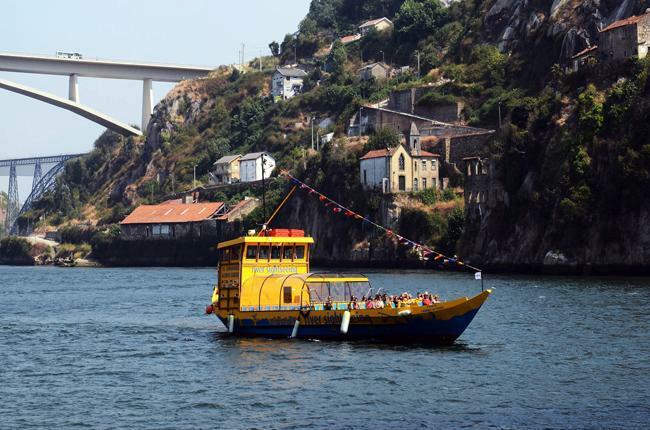 Sailing aboard a DouroAzul hotel-ships is the perfect way to visit one of Europe’s best kept secrets. Discover the city of Porto through one of its most iconic views: the river!